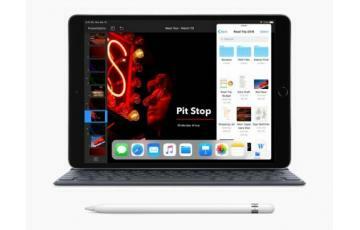 The new iPad Air has a brand new 10.5-inch Retina display Retina is an Apple marketing term for which there is no concrete definition: put simply, a Retina display is any screen Apple has decided to call that. There are however, features which set Retina displays apart from non-Retina screens.. with a 4:3 aspect ratio. It has a resolution of 2224x1668px with a density of 264PPI. The display is laminated to the glass, similar to that of the iPad Air 2 and Pro models but unlike the regular 6th generation iPad. It also features True Tone technology and DCI-P3 wide color support. 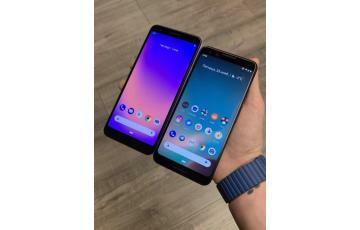 Connectivity is identical on the two new slate. You get dual-band 802.11ac Wi-Fi Wi-Fi is a type of wireless networking protocol that allows devices to communicate without cords or cables. Wi-Fi is technically an industry term that represents a type of wireless local area network (LAN) protocol based on the 802.11 IEEE network standard. It is the most popular means of communicating data wirelessly, within a fixed location, today. with MIMO, Bluetooth 5.0 Bluetooth 5.0 is an amazing technology that gives you outstanding range compared to its 4.2 counterparts. Bluetooth 5.0 can quadruple the range of its predecessor, meaning that you can get around 800 feet away from your compatible speakers, headphones or fitness tracker while keeping the connectivity intact. You will also enjoy twice the speed of data transfer compared to the previous version of this technology.., Gigabit-class LTE, and GPS The Global Positioning System (GPS) is a satellite-based navigation system made up of at least 24 satellites. GPS works in any weather conditions, anywhere in the world, 24 hours a day, with no subscription fees or setup charges. The U.S. Department of Defense (USDOD) originally put the satellites into orbit for military use, but they were made available for civilian use in the 1980s... 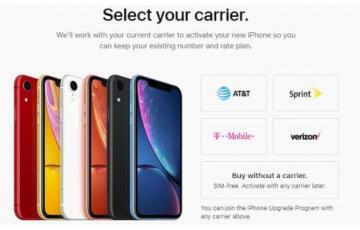 Both support the new eSIM feature along with a nano SIM.